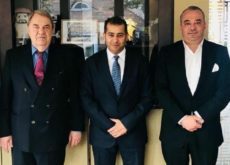 A 400ha site is being developed as an Abu Dhabi investment zone with Richard Russell’s Lead Development acting as the development management firm, alongside a consortium of international architects and planners including: US-based Arquitectonica, Spain’s Ramón Esteve from Spain and Broadway Malyan. “The diverse and meticulously planned low-density community – designated as an Abu Dhabi investment zone, will comprise a mix of serviced plots, high end and midrange properties that cater primarily to the requirements of nationals and the rental market,” added JIIC in a statement. 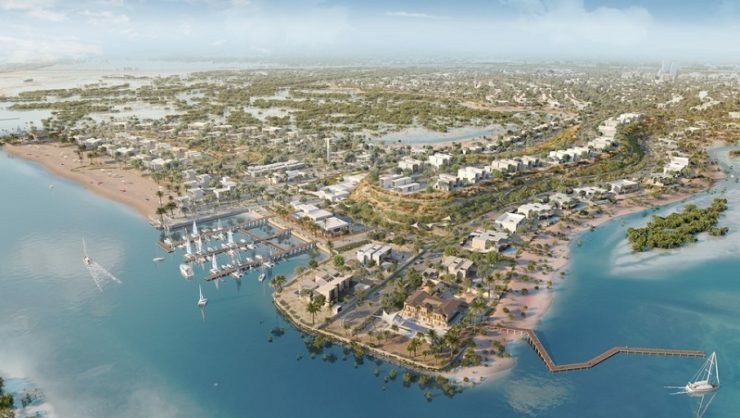 Jubail Island will feature six investment zone villages – Marafaa Al Jubail, Nad Al Dhabi, Seef Al Jubail, Ain Al Maha, Souk Al Jubail and Bed’a Al Jubail. It will also comprise a 13-kilometre waterfront and “a stunning natural setting surrounded by mangrove forests teeming with wildlife”. Plots will range 1,500 to 5,000 sqm with villas ranging in size from 300 to 1,200 sq m. 400 single-family and 400 multi-family homes will be built and is expected to be completed in Q4 2022. Once completed, Jubail Island will be home to between 5,000 and 6,000 residents. “In the heart of this environmentally conscience and sustainable community will be the Town Centre – an intimately cosmopolitan hub featuring apartments, an office park, office villas, and a hotel. Facilities will include F&B outlets, a beach club, a business centre, a sports centre, schools, supermarkets, nurseries, a community club, specialised clinics and other commercial establishments,” added JIIC. “The launch of Jubail Island is inspired by the founding father of the UAE, late Sheikh Zayed bin Sultan Al Nahyan, and his abiding love for nature and its preservation,” said Hamad Rashid Al Nuaimi, chairman of JIIC’s Board of Directors. Speaking at a press conference to announce the launch of the development, Mounir Haidar, Managing Director of JIIC, said Jubail Island will cater to families, wellness, wildlife and nature enthusiasts, including water sports activities as well as offering a unique quality of life for homeowners and visitors alike. 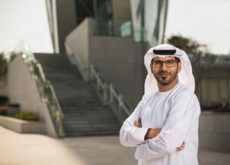 “With its wide variety of residential, retail, hospitality, entertainment, and education offerings, the project is poised to become an important contributor to the Abu Dhabi real estate market in line with the objectives of the Abu Dhabi Economic Vision 2030,” Haider commented.